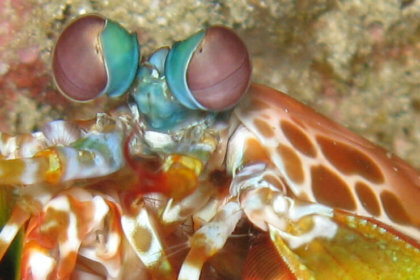 The humble mantis shrimp is considered to have the most complex eyes of any animal. Their eyes don’t just look weird from the outside—they’re weird all the way through. Each eye turns independently of the other. And each one sees in 3D. Imagine being able to see 3D views of your surroundings in two different directions simultaneously. The middle of their eyes are divided by up to six rows of receptors that see in a huge band of light from deep UV to the far end of red. And a couple of those rows detect polarized light. And therein lies a similarity to a test of PolarCam in the telescope that NASA used to study the Solar Eclipse of 2017. Scientists remain uncertain as to how temperatures rise in the sun’s inner corona, and the sources of the particles polarizing the light passing through the corona. Light is polarized when all the light waves vibrate in the same orientation. It happens when unpolarized light passes through a medium. (For more about polarization, visit our Polarimetry page.) In the sun’s inner corona, the light from the sun’s fusion passes through a medium of free electrons. The electrons are torn from their elemental nucleii by the huge amount of energy, and the light polarizes. If the degree of polarization can be measured, NASA could calculate the distribution of the electrons in that solar atmosphere. The problem is that instruments to measure polarization have, until now, been limited to a rotating filter placed in front of a camera. 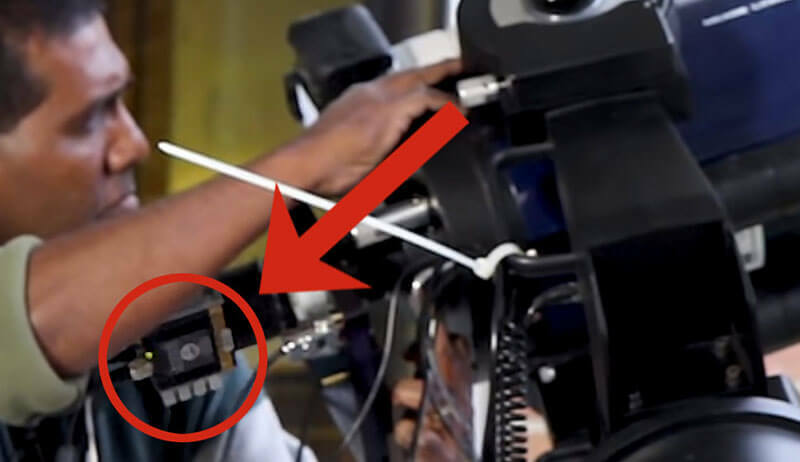 The filter passes linear polarized light, an image is captured, then the filter rotates, passing linear polarized light that is oriented in another direction, an image is captured, and then the filter rotates again, allowing a third orientation of light to enter, and another image is captured. The problem is that time passes between images—and light changes its position a lot in a short period of time. To best understand the event, NASA needs a way to capture several different orientations at the same time. During the lunar event, as the data were being recorded, everything appeared to go smoothly. The NASA teams are still evaluating the data and have not issued a report on their corona measurements, as of this writing. 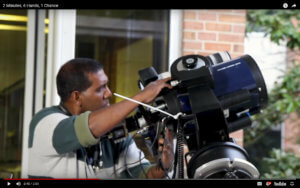 If all goes as planned, the PolarCam could be used in other solar telescopes, possibly even orbital telescopes, in the future. 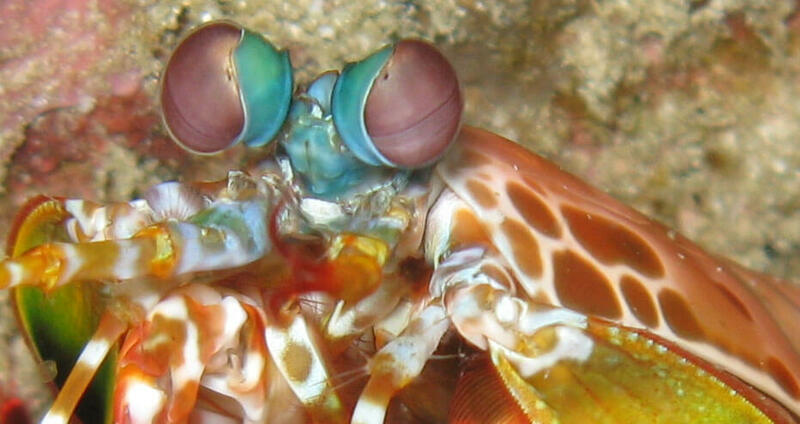 As far as we know, there are no plans to put mantis shrimp in orbit.